The Corbett family have been guardians of Holden Farm for over 100 years and are delighted to share their beautiful home with you. 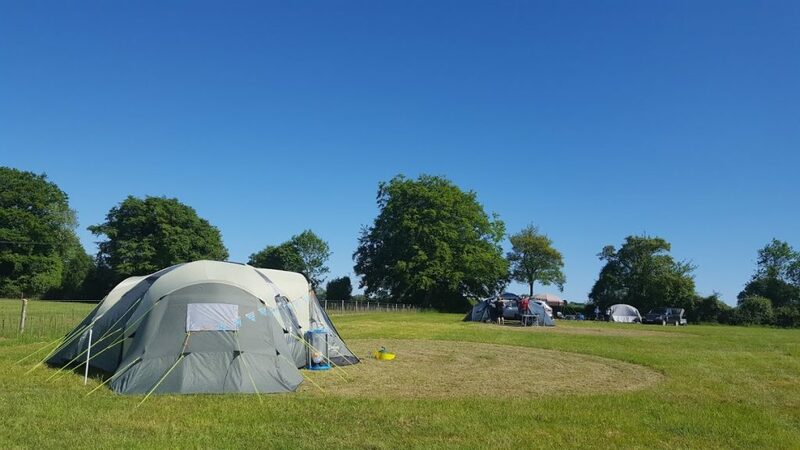 Set in a stunning spacious field, surrounded by farmland, our traditional campsite allows you to relax and enjoy the countryside. 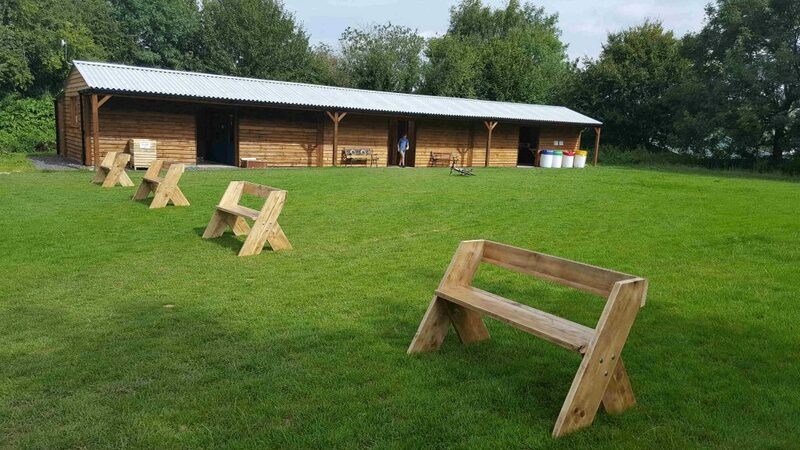 We have no marked pitches, plenty of fire pits and a spotlessly clean facility block. Sit around a roaring fire, stargaze in the Dark Skies National Reserve and listen for the barn owls or watch the bats flying overhead. 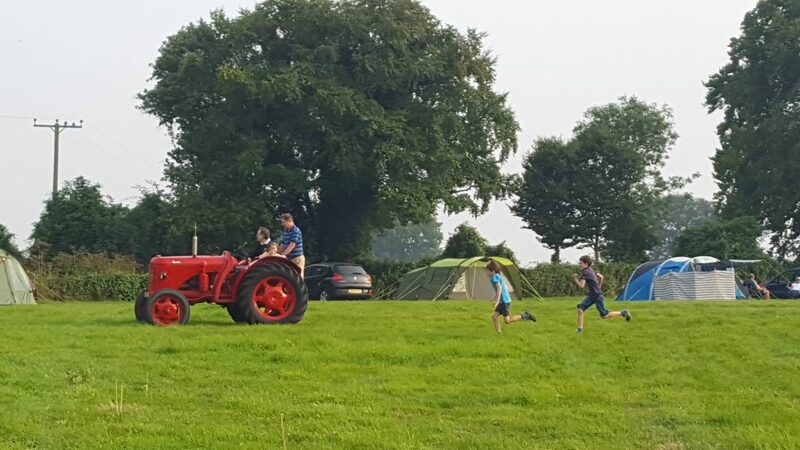 The most inviting element of Holden Farm is space – space for children to run around safely, space so you don’t find yourself camping on top of your neighbour and space to enjoy your time with us, in a set up that works for you. 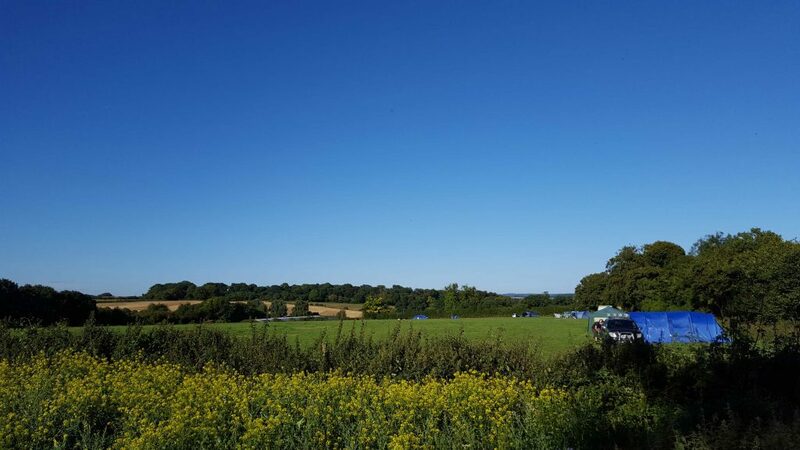 The campsite is within the South Downs National Park, nestled amongst acres of predominantly arable farm. The wild flower meadows and hedge boundaries have led to an abundance of wild native animals, birds and insects. Holden Farm is home to some very special free-range chickens, a few horses and plenty of sheep. We invite you to watch us at work and learn about our farm. We encourage you to explore the local area. There are 4 pubs within an hour’s walking distance and plenty of interesting places to discover nearby where you won’t even need to get in your car. We are just 7 miles from Winchester, the ancient capital of Wessex; 5 miles from the beautiful market town of Alresford and 1 mile from the stunning village of Cheriton, situated at the source of the River Itchen. We have modern camping facilities on-site; clean flushing loos, hot showers and good washing facilities. There is a communal fridge and separate freezer as well as charging points for a hair dryer and mobile phone. Under 15’s that are not accompanied by an adult are required to pay the full adult fee. Depending on how busy we are, it may be possible to have day visitors. We must be informed of this in advance and there is a charge of £5 per person. Holden Farm is in the heart of Hampshire at the western end of the South Downs National Park. The farm is just 6 miles from Winchester, by road or the South Downs Way, and is perfectly situated for an explore of the local area. The Ordnance Survey National Grid Reference is SU561267 and can be found on OS Landranger Map 185 or OS Explorer Map 32. The postcode for sat navs is SO24 0NX. From junction 9 on the M3, follow signs for the A272 to Petersfield. Once on the A272 (Petersfield Road) we are 4 miles away. Look out for the Union flag flying high and signs for Holden Farm, turn right into the farmyard. Follow signs to Winchester. We are just under 2 miles from the village of Cheriton. If you are in the village, keep The Flower Pots pub on your left continue to the A272, turn right and we are half a mile along the road on the left. Look out for the Union flag flying high and signs for Holden Farm, turn left into the farmyard. Eight sumptuously appointed rooms all refurbished to a very high standard.